Who knew yetis liked spaghetti! 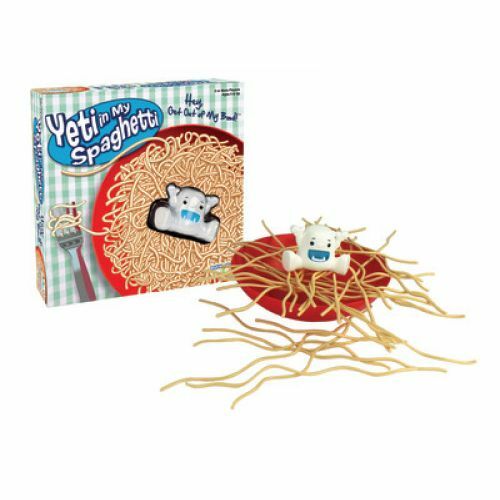 In this wacky, fun game, the noodles are laid across the bowl and Yeti is just sitting there on the noodles…but as you remove the noodles one by one be careful not to let the Yeti fall into the bowl! For 2 or more players, ages 4+.